Tonight I’m giving a presentation for INF537 Digital Futures Colloquium, a subject part of the Master of Education (Knowledge Networks and Digital Innovation). While the title slide is a little ominous it’s aimed at being a provocation to the class to stimulate discussion rather than a lecture. I really want to hear what the students have to say – even if they think I’m way off. Hopefully the seminar “provides the stimulus to identify and reflect critically on topics that have implications for a student’s own professional development, professional practice and scholarly interest” the subject aims to do. When I started this post it was only a week since I submitted an abstract for the dLRN15 Conference, but the it’s taken much longer to pull this post together than I originally thought. The title of the talk that I submitted was Empowering the Node & Avoiding Enclosure and in this post I want to begin the process of sketching out some of the core motivations and ideas I’ve been having in regards to the technology for living and working in a networked world. This is has been a process of attempting to bring together some of the ideas I’ve been dwelling over for the last year and a half about what is happening online, particularly in the ed-tech space, and alternative ways that we could do things. The ideas are very much tied into notion of networks, in particular the concept of distributed systems. I put it down on my “year ahead” post back in January as a topic that I really wanted to explore this year, so when the call for papers, and the list of speakers/organisers came out – I figured this was as good a time as any. In the meantime Jim Groom has published a couple of posts, one & two, that share similar ideas, particularly around the architectures around how to build alternatives. Yesterday Michael Felstein also put together this great post on the EDUCAUSE NGDLE and an API of One’s Own. Both share commonalities with what I’ve been thinking in particular around APIs and an “operating system” of sorts. It’s kind of why I decided to get this post out even though in some areas it’s still only half-baked. a network isn’t a thing, but an expression of individual nodes, how they interact with each other and the relationships they develop. These enterprises do not operate as networks, but as containers. They are an explicit attempt to seize and monetise our digital endeavour by controlling the vectors through which they flow. They are closed, controlled and centralised systems that are attempting to enclose the web, the notion of commons and the ability to connect and share. Yes it will be possible, but on their terms and in their space. As the importance for digital networks grows, the tools we currently rely on are undermining their ability to function. They are becoming a medium where networks do not grow and thrive, but silos in which they become stunted and curtailed by a simple binary choice – accept or decline. Technologies in which digital networks can thrive don’t look like the tools available to us today, or those planned for tomorrow. Not the learning management system, Facebook, LinkedIn, Twitter or Medium. I’ve been a huge fan of Jim Groom & Tim Owens’ work on developing up the literature and architecture for a Domain Of Ones Own. 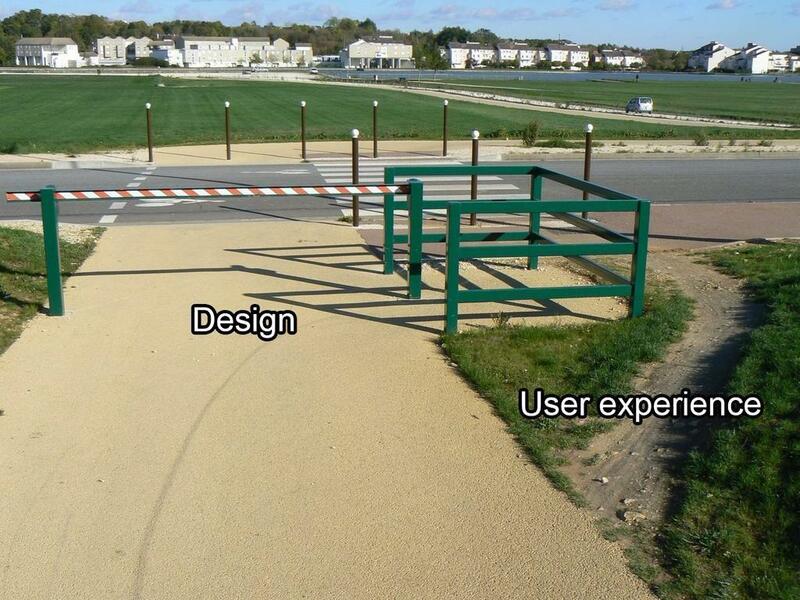 I think that idea – a space owned and controlled by the user – is paramount in this networked age. It forms a solid foundation from which to build networks in a distributed way, rather than the centralised silos that are currently available. I’ve been eating up information relating to domain of ones own projects and the related technologies and concepts like Known, APIs, Docker & Containers, Federated Wiki, WordPress, JSON, GIT, node.js, Open Badges, xAPI, Blockchain – because to me they all work towards developing an idea of how a domain of ones own can be transformed into an operating system of ones own. An operating system that can drive us forward into the networked age by changing the current technological paradigm to one that seeks to empower the node rather than enclose them. “Nodeware” rather than explicit software or hardware. This platform would aim to improve the ability for each individual to connect and share with others in truly negotiated and social ways. A platform that allows us to rethink the ways in which we learn and engage with digital networks – distributed, negotiated, social, interactive and sovereign. That image was from about a year ago – the kernel of an idea was there but not necessarily the means to take it forward. Over the new year I participated in the first Federated Wiki Happening and the experience of not only using, but embracing, a federated, socially constructed, non-linear and cooperative environment was fantastic. It opened my eyes to what could be possible if we re-thought not on the applications but the underlying technologies we used too. I loved the open nature of the federated wiki, but what I fell in love with was the concept of being an “empowered node“. The system worked in a way that empowered the individual. It provided tools and methods to create an individual identity while at the same time allowing others to connect social and professionally. Last year I also worked on our university Badges project, and have been thinking about the potential of xAPI to capture a more nuanced and broader spectrum of learning and so have been broadening my concept of what’s possible technically and culturally. A fortnight ago we held a workshop on how as an institution we could support Learning Technology Innovation. One of the key areas I wanted to explore with the group was APIs. So in the process of planning and putting together a presentation for the event I’ve been engaged in that space too. Just follow Kin Lane and have a play with IFTTT and you will quickly understand the power and potential that APIs offer. (PS this video offers a neat explanation of what the hell APIs are). MYOS is the name I’ve given to the concept of developing a personal and social software system that provides not only the tools and technology to empower the individual in the networked age but some guiding principles about how it should enable, enhance and empower the user. MYOS is very much the model the Jon Udell laid out as “hosted life bits” – a number of interconnected services that provide specific functionality, access and affordances across a variety of contexts. Each fits together in a way that allows data to be controlled, managed, connected, shared, published and syndicated. The idea isn’t new, Jon wrote about life bits in 2007, but I think the technology has finally caught up to the idea and it’s now possible to make this a reality in very practical way. There are two key technical components to MYOS – Containers and APIs. Containers are a relatively new phenomenon and arose as part of Docker. They allow individual applications and services to be packaged in a way that can be deployed on a single server. Apps can be written in any language and utilise a variety of databases because they are contained their own package. At the same time they can talk to each other – share common layers that allow for greater integration. Containers provide a way for a variety of “life bits” to be co-located and packaged in re-deployable ways. APIs (Application Programming Interfaces) at their most basic level allow applications to to talk and interact with other applications. APIs are the vectors through which information travels between systems. For many years they were primarily used internally with large and complex systems, but they are now emerging into the public space. They provide you the ability to cross-post between twitter, facebook, google and instagram. They allow you to push files to and from Dropbox from a multitude of applications. APIs are increasingly accessible not just to developers but to users too. Services like IFTTT allow almost anyone the ability to harness APIs to create useful “recipes” that link their own data and interactions in ways that increase effectiveness and impact. The focus of MYOS is to empower the individual rather than re-enforce the network. Empowered nodes provide a stronger and more resilient network that is able to not only cope but thrive on change. An empowered individual is not locked in or enclosed within a single system but is free to move between them. You should always be in control of your own data. You should be able to decide who and how that data is accessed, viewed and shared. Data sovereignty is now more important than ever as we see how state surveillance and commercial enterprise has transformed private data into a commodity that is bought, sold and exploited. MYOS should ensure that any data is ultimately controlled and managed by the individual. In a world that relies on the network we need to ensure that democratic values are not lost. Individual choice has increasingly been eroded by the binary – Accept or Decline. We need to move beyond the autocratic rules that have come to define much of our digital lives. Connections need to be negotiated and a key way of developing that is building in a handshake mechanism that ensures transparency but also encourages users to negotiate terms that suit them. This would include being able to decide what information is shared, how it is shared, what is hidden, what is private, what is relevant, what is preferred as well as negotiating a period of renewal. This handshake could include the development of “data lifetime” clause to ensure that data isn’t kept in perpetuity, but can be removed or forgotten without the deletion or removal of the user or service. Rather than enforce a monoculture, MYOS aims to promote diversity. While there is a need for a stable core, MYOS should promote a diverse eco-system of applications. From a technical level a containerised approach enables different application built with different languages, foundations and data structures. I’ve written before about my notion that society is transitioning from passive consumerism to active ownership. The current model of networks is very much on built on consumerist conventions and why much of the potential inherent in the technology has devolved into manipulative and exploitative marketing. As an alternative Ownership requires a personal investment and active participation in order to receive a reward. An owner understand that there is always risk and a cost involved, but rather than be manipulated into supporting a venture, they wish to be informed. Value needs to be demonstrated and transparent. In a cultural capacity openness is still a fairly new and one that is continues to challenge and disrupt existing cultural modes, model and practices. Many aspects of Western culture are built on practices that install and maintain rigid hierarchies of power and exploitation that are achieved by ensuring knowledge is limited through secrets, lies and division. openness destroys those notions and instead requires trust to be created, managed and maintained through transparency and a shared experience. Openness seeks alignment rather than consensus, cooperation rather than collaboration – which tends to turn all processes into a “consensus engine”. Openness encourages federation rather than centralisation, a key tenet of MYOS. For MYOS to ever function it requires a community, but communities don’t just happen. They require encouragement and nurturing as well as a level of active participation and contribution. Rather than being an emergent outcome of a social environment they require the result of careful fostering and cultivation. Community is the outcome of contribution, not participation. MYOS needs to be something that works with people, not for or to, and lies in the process of reclamation and liberation. MYOS isn’t a new thing. It’s an attempt to draw a line that connects a number of concepts that relate to our digital lives and the way we are increasingly living and working in this connected space. Movements (like the IndieWeb) and software (like Known) already provide aspects of the kinds of functions I see MYOS fulfilling. MYOS is an attempt to create a map of a networked idea. The idea I’ve been working from is not an attempt to go and reinvent or recreate existing applications and services but to expand their features and connect them together. Open source projects make a perfect candidate for this expansion – so rather than replace Known or WordPress they can be developed in ways that integrate it into MYOS. One way that this could work is by rethinking something like cPanel and turning it into an OS level application that provides an underlying data structure and tools to connect and deploy various application via their containers. I’ve felt a little rushed to put this post out, but I wanted to join in the conversation not sit outside it. I’ll admit to not having everything fleshed out, or even properly specced, it’s still very much about an alternative way of thinking, designing and working with systems online. 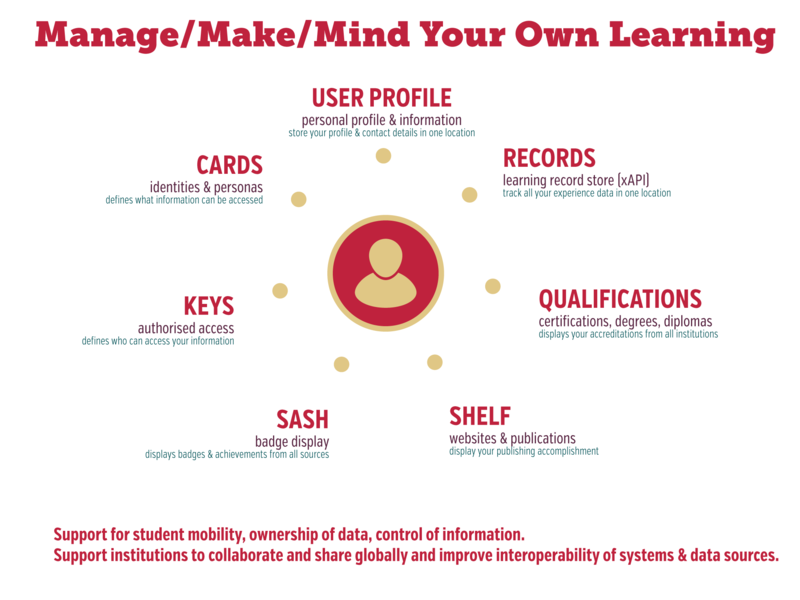 There’s a couple of posts I can see already that need to be written,in particular what the LMS and other institutional systems might evolve into when students are using MYOS. Until then I’d love to hear your thoughts and ideas.